Kit includes 20oz. Viking Tumbler and Valey Key Ring. 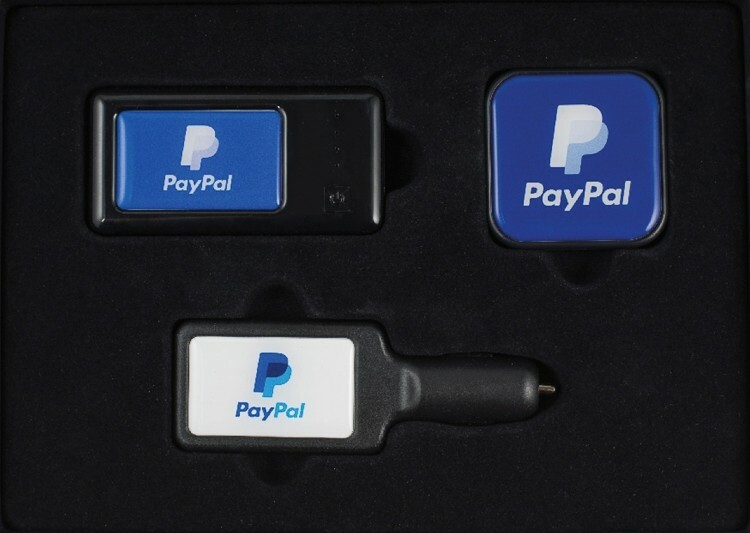 Our On the Go Tech Kit contains highly desirable items that your audience will be eager to use. Each of these items were selected with mobility in mind, as this kit fits easily into most briefcases, handbags and suitcases. 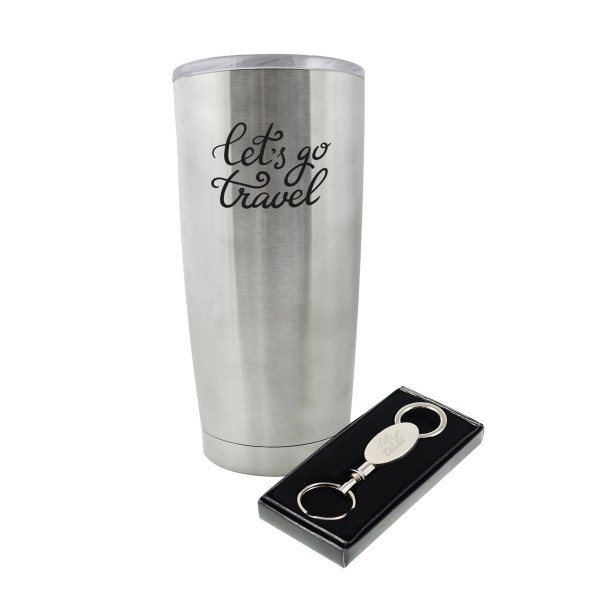 Ideal for corporate gifts, employee incentives, new business openings and more. 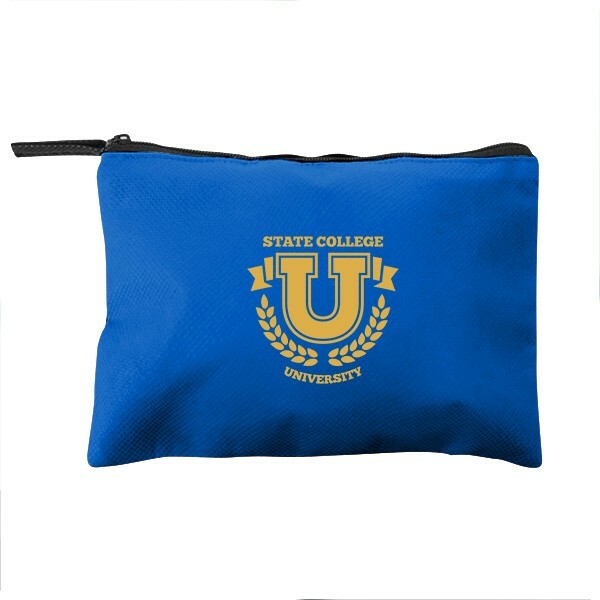 The set up charge includes a full color imprint on the USB Car Charger, Computer Screen Cleaner with 6 x 7 Microfiber Cloth, a one color imprint on the Smart Wallet and a full color label on the bag. That’s right, imprints on each item with no additional running charges for optimal brand exposure. Looking for the perfect awareness item for a giveaway? 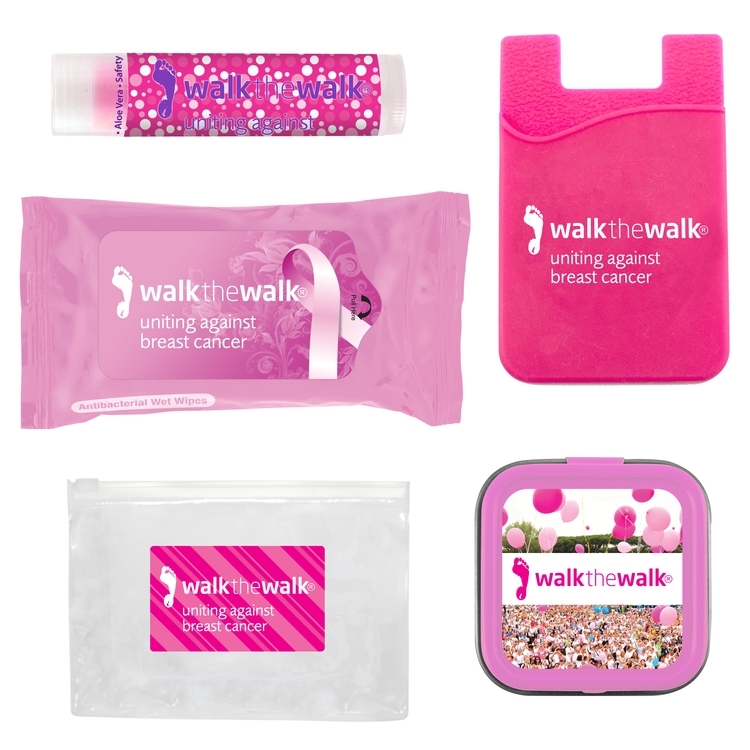 Look no further than our awareness kit. 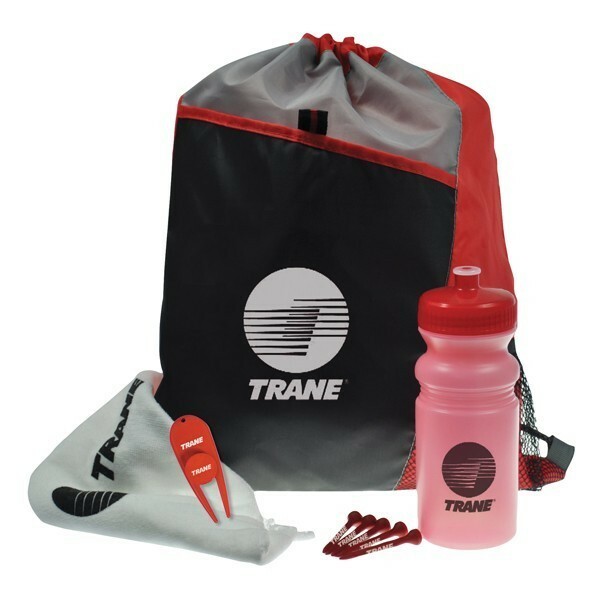 Available in a variety of popular awareness event colors, this kit is sure to be utilized for all of your customized awareness initiatives. The setup charge includes an imprint on each of the included items and a full color label on the bag. That’s right, imprints on each item with no additional running charges for optimal brand exposure. Choose one color or mix and match, with so many options, you're sure to have a successful campaign! Need to pull out all the stops and really impress? Say hello to the Wow Kit, a combination of great tech items that include: the app-enabled AuraBox 2.0 Bluetooth Speaker, Tenfour 10,400mAh large capacity charger, the Kronies True Wireless Earbuds, and the Argonot Apple MFi certified cord with micro-USB tip. 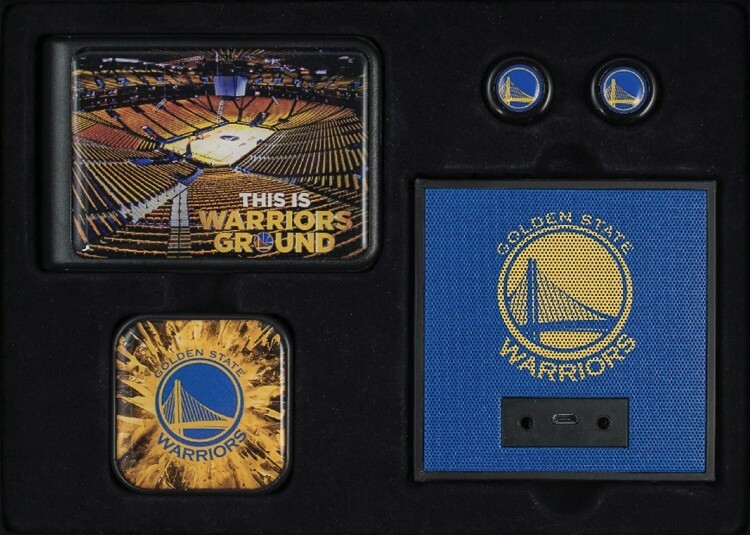 Decorate each item as well as the metal plate on the kit box for a great gift for all occasions. 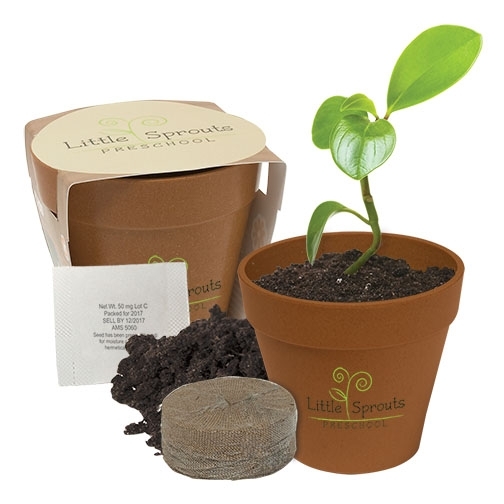 The Wow Kit comes with: 5 Day Production Time - 1-Piece Minimum - No Setup Fees - Full Digital Imprint. 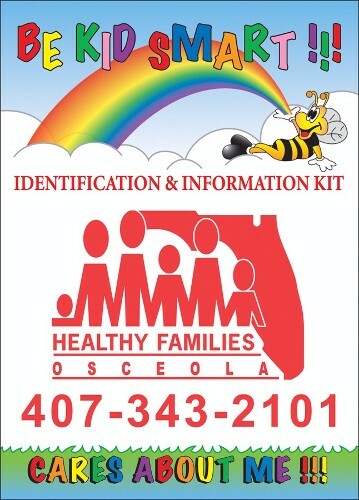 This two sided multi-color stock card is used to record and store vital information on children, adults and pets. Pricing includes 1-4 color imprint on both front and back. There is a place for current photo (be sure to update yearly) and a pre-inked printing strip. 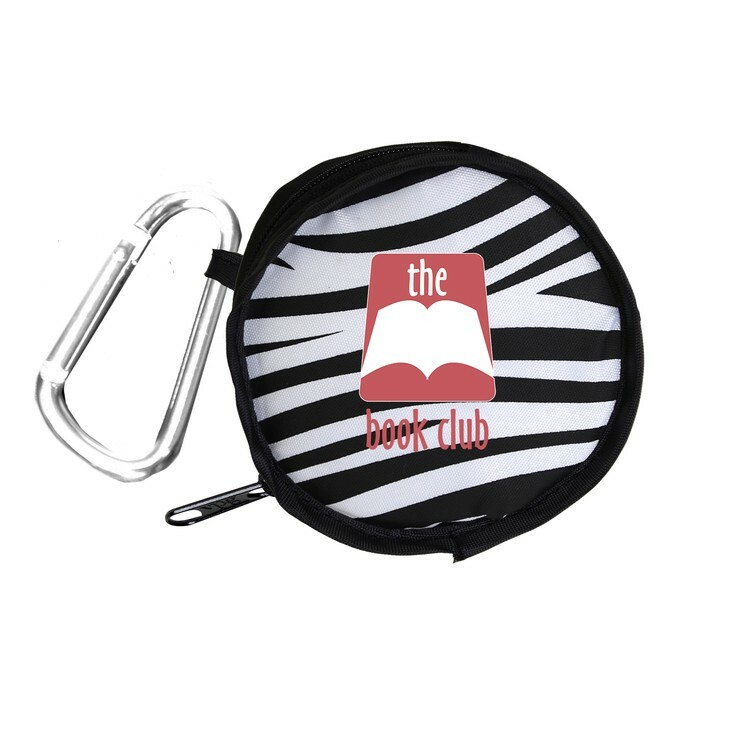 If you choose assembly, the strip will be placed within the fold of your kit. 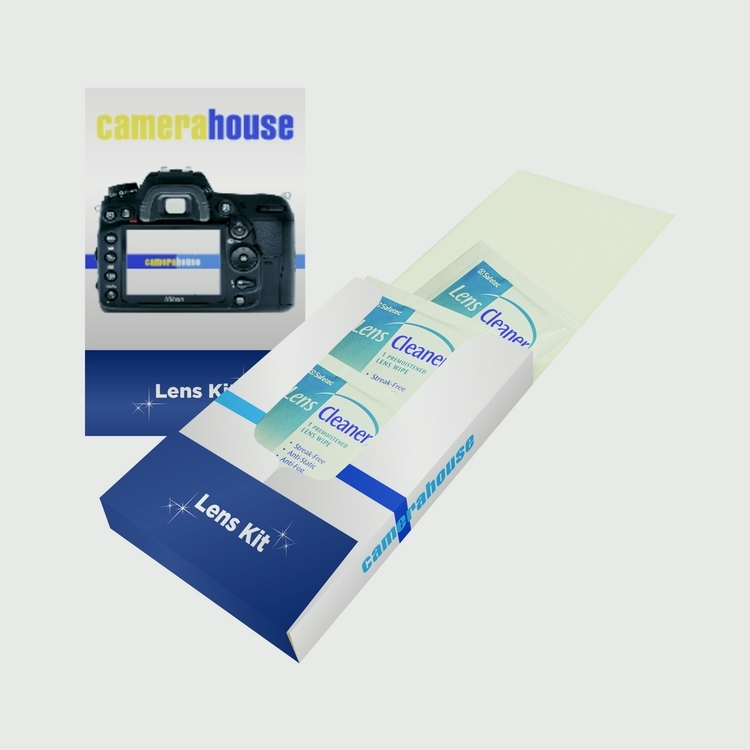 Standard packaging id kits are bulk packed and finger print strips are also bulk packed. Size is 5 x 11 (tri fold into 5 x 3 5/8). 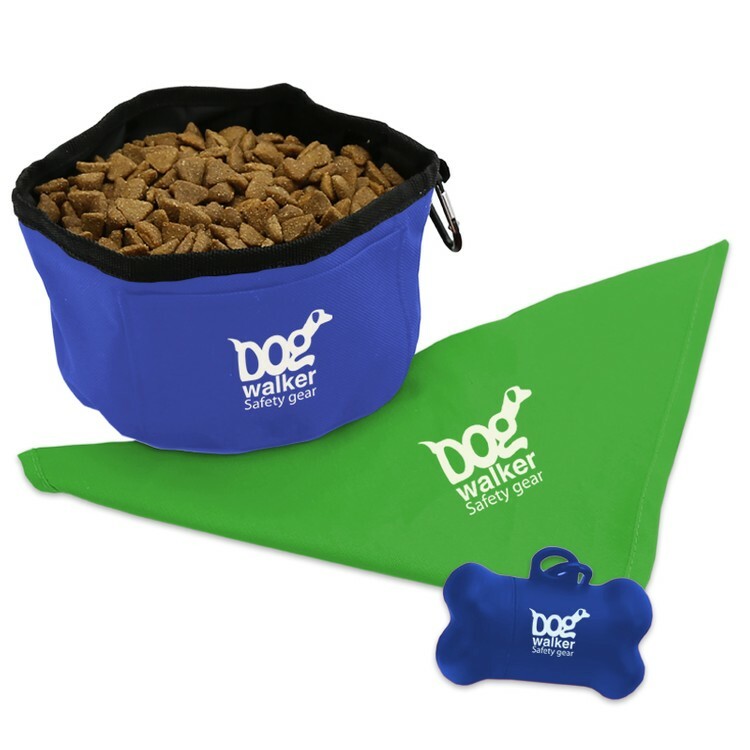 Park Pet Kit includes: Big Doggie Bandana (DB29), Foldable bowl (FDB63), Bone shape Pickup tote (DBD15) packed in a mesh bag. One color imprint on each item. Looking for the perfect awareness item for a giveaway? 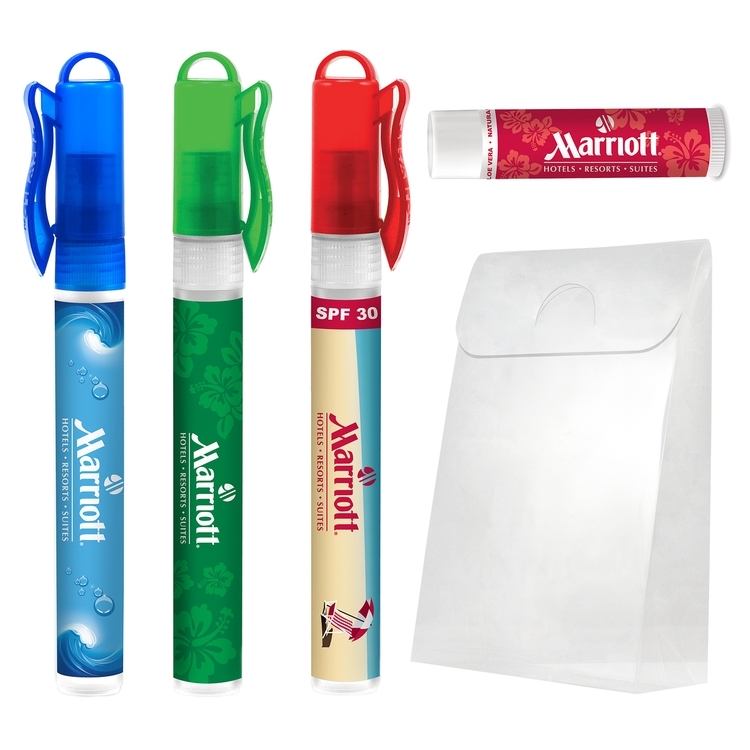 Look no further than our awareness kit. 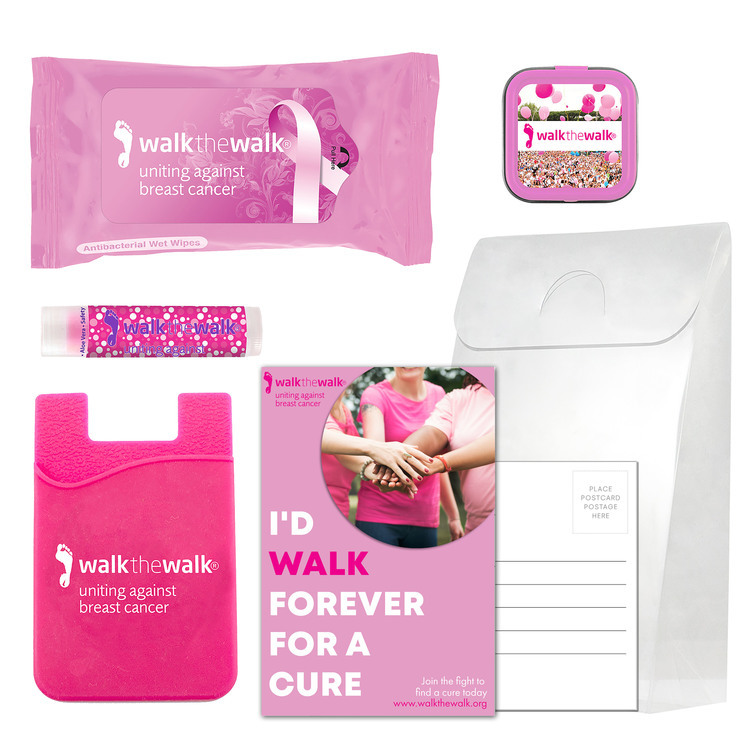 Available in a variety of popular awareness event colors, this kit is sure to be utilized for all of your customized awareness initiatives. The setup charge includes an imprint on each of the included items and a full-color label on the bag. That’s right, imprints on each item with no additional running charges for optimal brand exposure. Choose one color or mix and match, with so many options, you’re sure to have a successful campaign! We all wish we were still a kid, with life's responsibilities at a safe distance, well into the future. Unfortunately, we can't manipulate time, but we can change how we feel. Have some fun and feel like a kid again with our Summer Kiddie Kit, stocked with kid friendly accessories such as bubbles, sunglasses, sunscreen and most importantly, alcohol-free hand sanitizer. 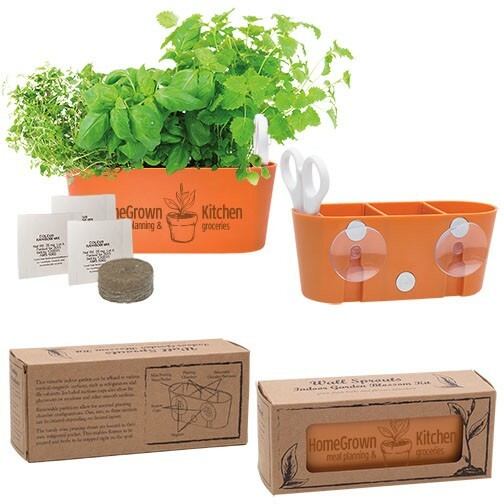 Safe for both kids and adults, this kit will rejuvenate that feeling of fresh youth that you may or may not have lost along the way. 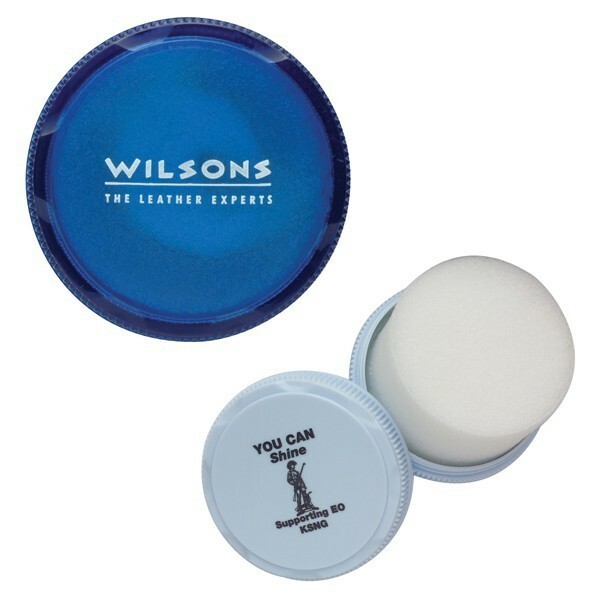 Kit contains silicone gel. Screw top for secure closure. Actual size is 2-5/16"diameter x 5/8"d. Individually polybagged. 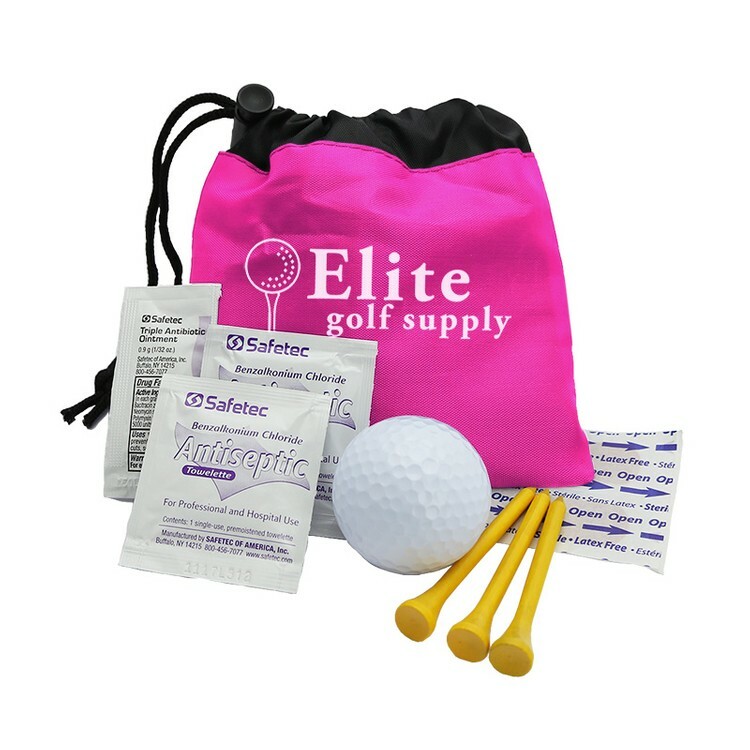 Our golf necessities comes in a tin and includes the following packets, 2 sunscreen lotion, 1 lip balm, 2 instant hand sanitizer, 2 insect repellent, 2 sting relief wipes, 2 lens cleaner wipes, and 4 bandages. Price includes a four color laminated decal. Ingredients are printed on the label. Everything you need for a fun day on the golf course! Be prepared for a day of fun in the sun with our custom imprinted Fun in the Sun Beach Kit. Containing all of the items you may need for any outdoor event, the sun is no match for this Beach Kit. 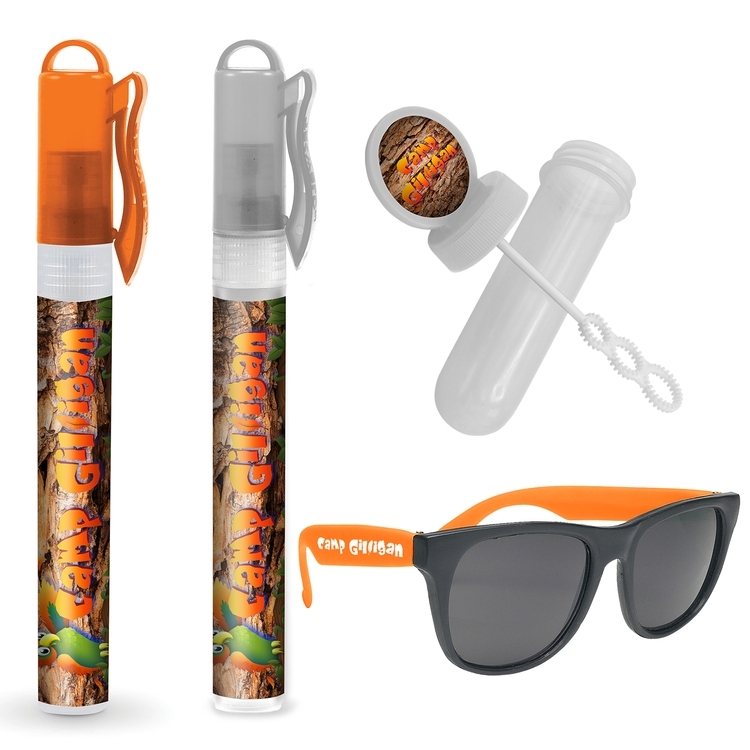 Don’t let UV Rays ruin your day, instead, let your brand have the last say with our Fun in the Sun Beach Kit. 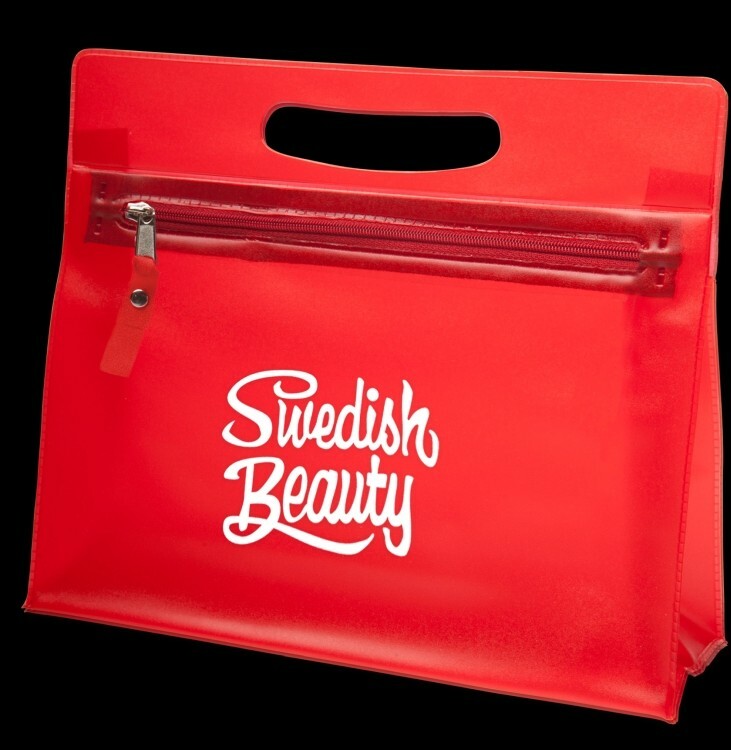 The setup charge includes a full color imprint on each of the included items and a full color label on the bag. That’s right, imprints on each item with no additional running charges for optimal brand exposure. Commuting to work, almost all do it, almost all dislike it. 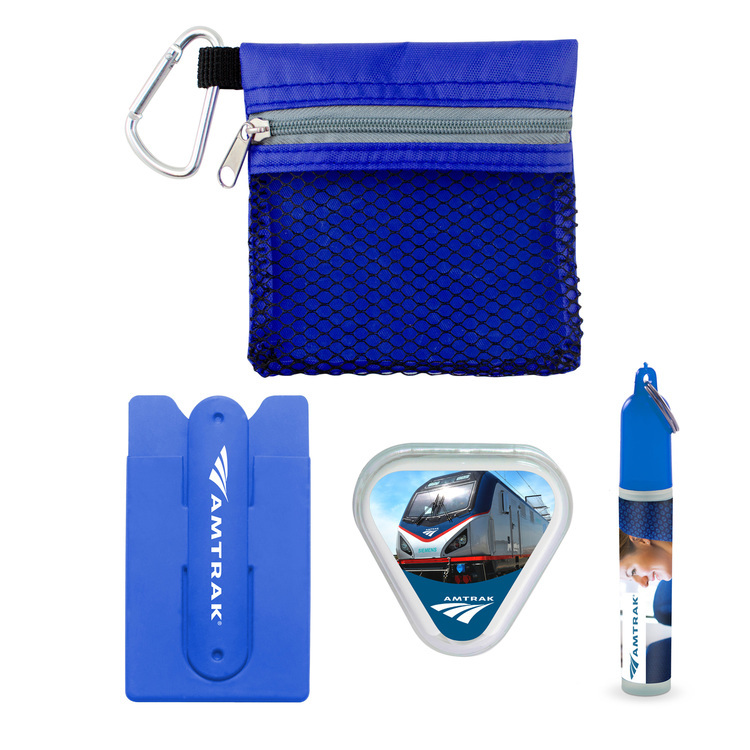 Liven your commute up with our commuter kit. Our ear buds with reusable case work perfectly with our Silicone smart wallet with stand, when used together, they make for a perfect, little on the go theater. Also comes with a mini hand sanitizer bottle that will ensure that you wash away all of the germs you may pick up on your trip. 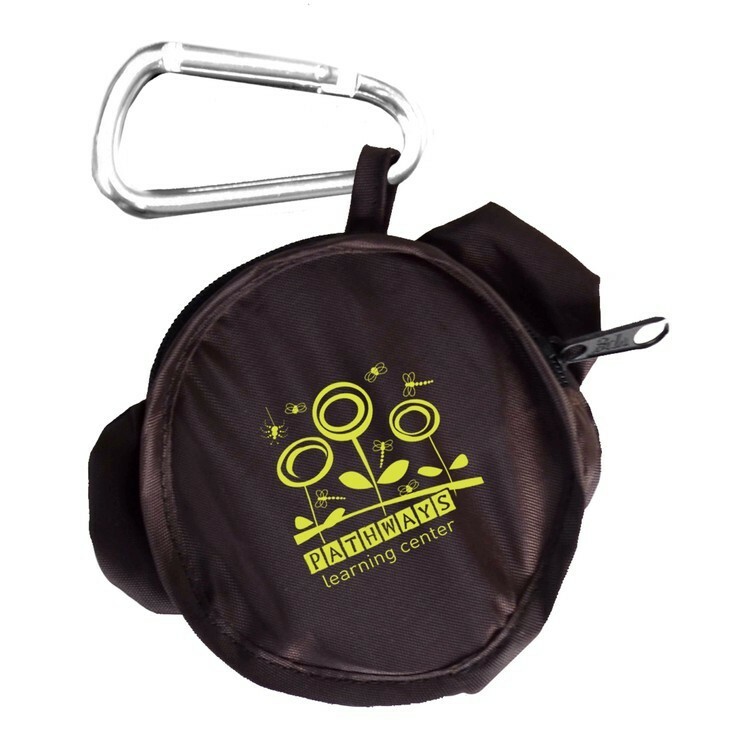 Condensed into a reusable mesh bag with carabiner, this bag is perfect for your daily travel routine. 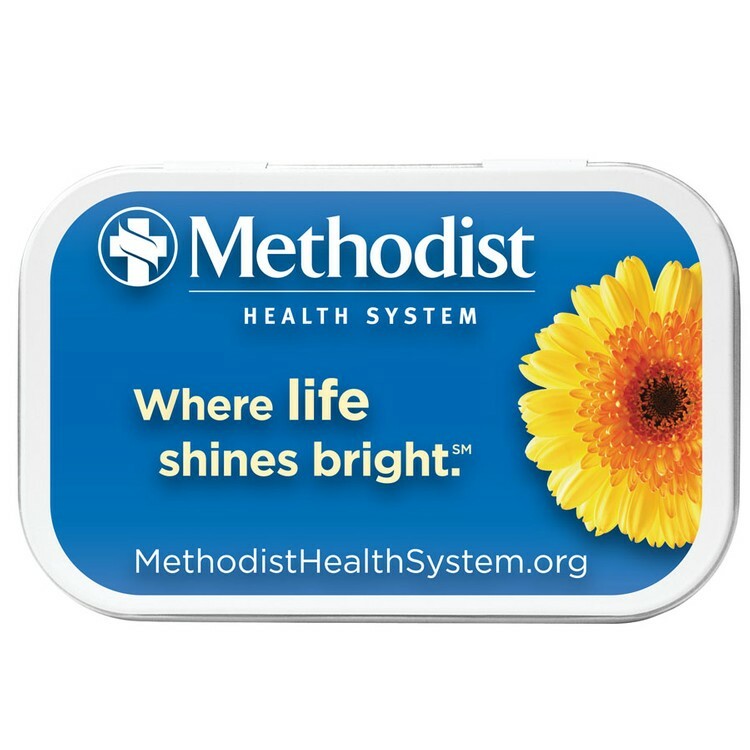 This first aid kit comes in a white tin and includes the following packets, 2 first aid and burn cream, 1 lip balm, 2 instant hand sanitizer, 1 1% hydrocortisone cream, 2 sting relief wipes, 2 antiseptic wipes, 4 bandages, and 2 burn gel. Price includes a four color laminated decal. Ingredients are printed on the label. Everything you need to heal the hurt! 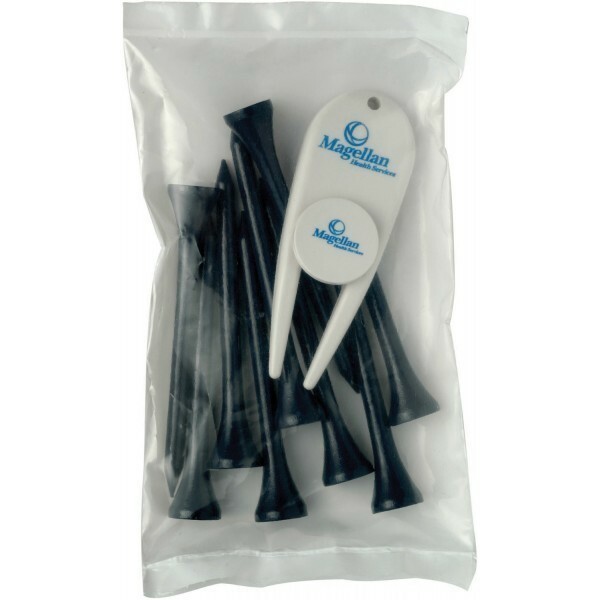 The Golf Kit includes a 1 oz. hand sanitizer, SPF15 Lip Balm, SPF30 Suncreen Stick, and a plastic mint card to supply you with all the necessities for a safe and fun day on the course. 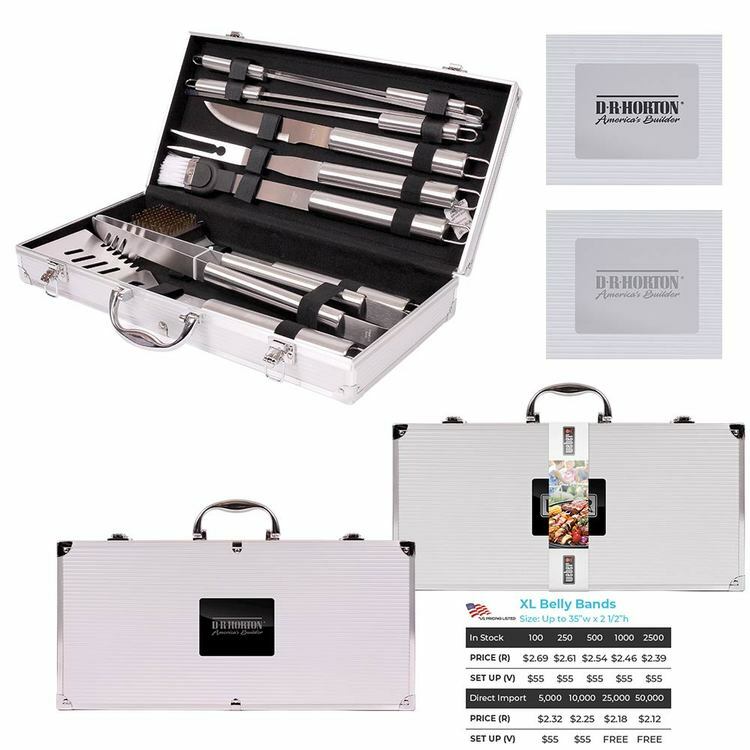 Prices includes a four color printed laminated decal with our stock artwork on the individual product and a custom label on the outside of the kit, or a four color custom box. Other kit options are travel kit, suncare kit, office kit, and romance kit.